Ricotta takes the place of breadcrumbs in these gluten-free Swedish meatballs and they’re just as delicious as the more traditional kind! Preheat the oven to 400°F (205°C). Get out a 9" x 13" baking dish or another pan large enough for the meatballs. In a large bowl, mix together the first seven ingredients (onion through Worcestershire sauce). Then add in the meat and mix together, just until combined. Add in the Ricotta. You can add more or less if you like. 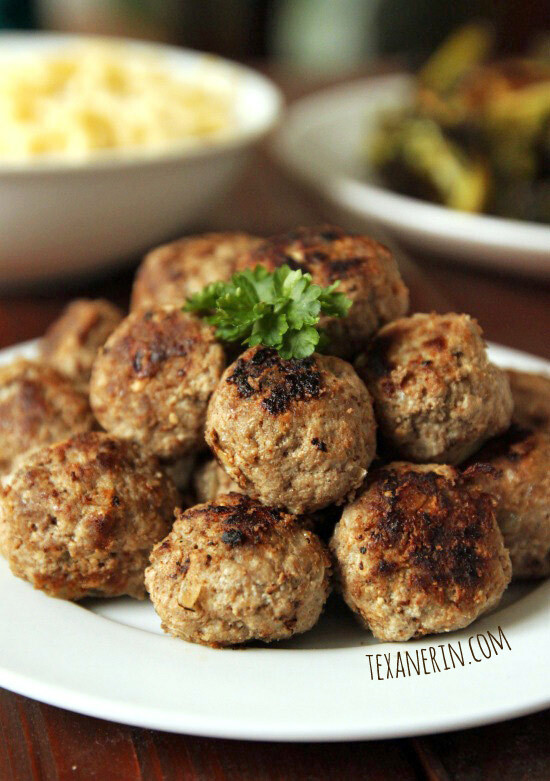 Form into tablespoon sized balls, place in the baking dish, and bake for 10 minutes. The last two minutes of baking, melt the butter in a large frying pan over medium high heat. Then fry the meatballs in the butter until nicely browned, about 5 - 10 minutes, and serve.